Today's giveaway is a lip product that I have been really loving lately. It's the Giorgio Armani Rouge D'Armani Sheers. As you know, sheer lipsticks are my favourite lipstick formula. I just can't get enough of them. Out of all the brands I've tried, Giorgio Armani knocks it out of the park. I only have two shades at the moment -- not for the lack of want. In my efforts to curb my addiction, I've put myself on a "one high end lip product a month" limit. Otherwise, I'd be stockpiling these beauties. As this is another winner's choice giveaway, the winner will get to choose which shade they would like to receive. I like GA's colour selection because they're simple yet effective. They don't have a hundred different colours... Instead they have the main colour families (reds, pinks, neutrals, purples, corals) and then a select few within each family. There's a shade for everyone. Just to note, if you happen to win and you'd prefer to try one of Giorgio Armani's Rouge D'Armani lipstick (which I can attest is a fabulous line, too)... I would be more than happy to pick you up a shade from that collection. If you'd like to win a Giorgio Armani Rouge D'Armani Sheer (or Rouge D'Armani), just enter below. 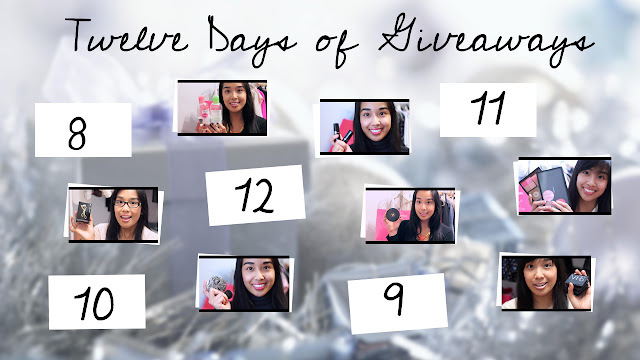 All you need to know is that this giveaway is open worldwide and it will end on December 10th, 2012 at 12:00 AM EST. The winner will be contacted via email. Plus, I will announce the winner here and on facebook / twitter. 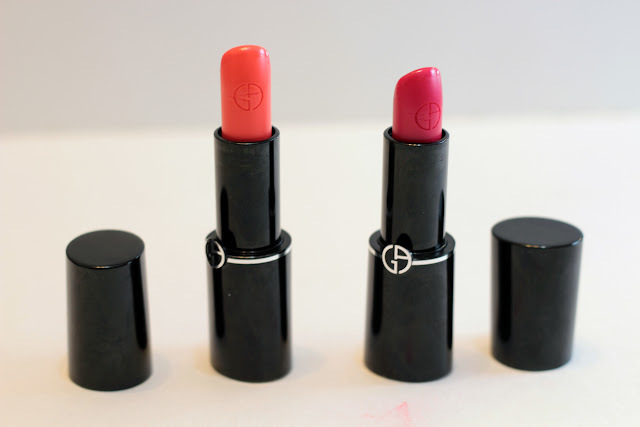 My dream lipstick formula should be creamy, has high pigmentation, and is non-drying. My favorite lipstick formula is a creamy, pigmented, slightly glossy and hydrating! My favorite formula would be sheer but comfortable and with good wear! My favourite lipstick formula would be a non-sticky, pigmented, hydrating formula. I like a buildable, hydrating lipstick. My favorite formula is sheer and hydrating! I like a matte, creamy, well-pigmented lipstick. I would definitely pick a more neutral every day shade. Love that it sounds so hydrating! I usually go with something sheer! My favorite lipstick formula is Lancome's absolu nu. Hydrating, creamy, and just pigmented enough! Gorgeous! I've always wanted to try these. I love hydrating lipsticks. Hydrating lipstick because my lips are always dry! i actually like creamy pigmented lipsticks! I prefer Nars lipsticks and lipglosses. Their not soo sticky and very moisturizing. Anything that moisturizing and pigmented! we definitely need a moisturizing lipstick this time of year. I prefer original/full coverage as sheer lipsticks tend to fade very fast on me. I love lots of colour and moisturizing! ••••••••••••••••••••••••••••••• My fave lip formulas are pigmented, long-lasting & moisturizing. One of my fave lipsticks with this type of formula is Covergirl's Lip Perfection Lipsticks. I also love matte finish lipsticks that aren't drying like NYX's Soft Matte Lip Creams. buttery ones cus they're moisterizing! It doesn't really matter as long as it lasts and doesn't get everywhere! I love the cremesheen formula. I really love moisturizing and creamy lipsticks! I like creamy and moisturizing lipsticks. I like creamy and opaque colours. I have a few in Revlon's line that I really like! I like creamy formula, even though I have to reapply. i love orangey lip products and would love the coraly one you have! My favorite lip product formula is moisturizing and creamy! My favorite kind of lipstick are sheer and hydrating! Thanks for such a generous giveaway! I love the MAC cream sheen lipsticks! I don't have a specific brand, but anything cream and matte or natural is my favourite! buttery and moisturizing! i love korres lip butter lipsticks because the color does double-duty and doesn't dry into pigmented flakes on my lips :) thank you for the giveaway! Creamy, hydrating, opaque and glossy! I actually love matte lipsticks a lot!